With a drive to provide value in student learning, I employ continuous improvement processes to capture vision for new learning technologies resulting in learning strategies that are relevant, rigorous, and exciting. 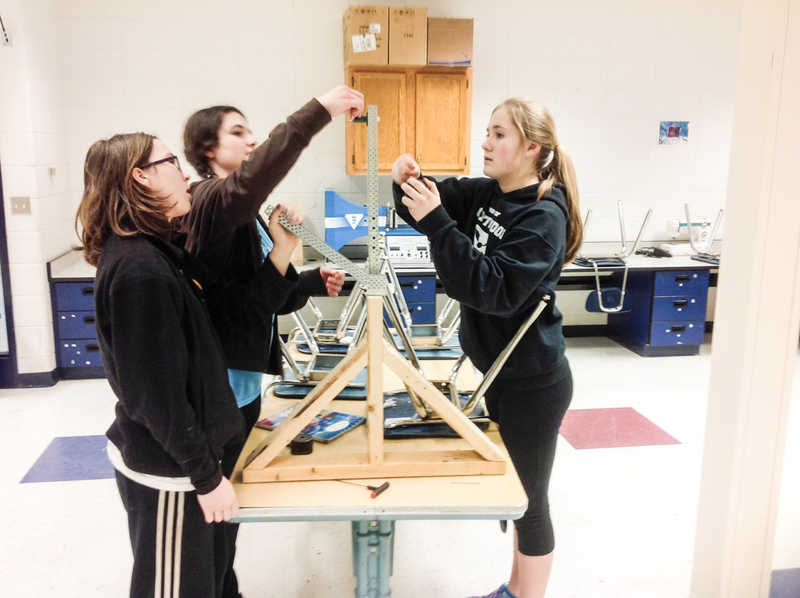 7th GRADE DESIGN, TECHNOLOGY, AND ENGINEERING EDUCATION : Is a class that teaches base-line problem-solving through exploratory learning and Design Thinking. This program uses Design Thinking methods that focus on STEM initiatives and technical literacy that align with Common Core State Standards and the Next Generation Science Standards. I developed this program in 1997 as the pendulum swing moved technology education to a computer-based and education technology-based curriculum. For the past 19 years, I have sought to be constantly innovative, following the pendulum in the tech industry while staying in front of it on the pedagogical front. 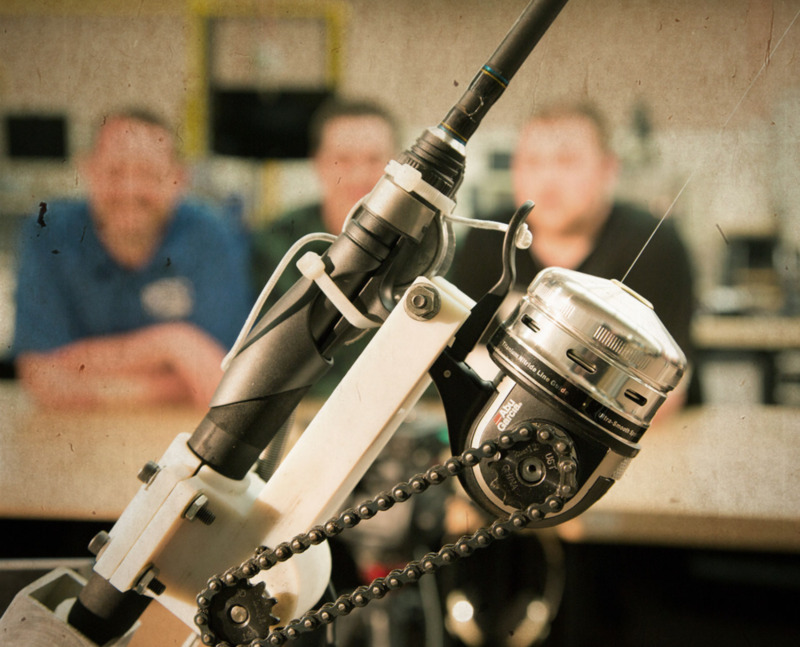 Utilizing the PROJECT LEAD THE WAY PRE-ENGINEERING PROGRAM as a foundation for design and modeling , I weave those tools into a "toolbox" of skills to enhance their ability to Design Think. This approach allows middle school students to work on solving real-world challenges using STEM, design thinking, and interdisciplinary teaming to demonstrate their learning. all while modeling, and to find solutions to problems they are passionate about. Information Technology Youth Apprenticeship: I designed and facilitated the classroom component of a district student run Help Desk. As an independent study, the Help Desk was designed to help students with an Information Technology passion to develop empathy and soft skills to improve customer service skill set all while providing the school district staff and faculty first line problem solving in a new technology implementation. Fourth Grade Teacher: My first teaching assignment in Mosinee was as an elementary teacher. Chosen for the position to bring real-world experience to the upper elementary level, I utilized Project Based Learning and contemporary technologies before the processes were widely known, instructed 4th grade students in math, language, literacy, science, Wisconsin History and social skills. Instituted literature circles, classroom economy for financial literacy, and classroom educational technology. Students acquired academic skills through genuine real-world applications. ENRICHMENT PROGRAM FOR GIFTED AND TALENTED EDUCATION (GATE) STUDENTS: I co-designed and co-teach an enrichment and resource program for GATE students under Response to Intervention (RTI) that applies Design Thinking to solve critical thinking challenges. We use an Expeditionary Learning platform, taking an interdisciplinary approach and STEM projects that focus on the integration of how what they are learning fits together. GATE resource teacher and At-Risk reading teacher Stevens Point Area Public Schools, Stevens Point, WI 1993 – 1995: Provided resource services for 1st and 4th grade GATE students for math. Directed at-risk intensive summer school remedial reading program using mobile computer technology and project based learning. Utilizing blended and online instructional platforms, undergraduate and graduate students received hands-on applications that infuse educational technology into their PK-12 curriculum. Adding tech into the classroom gives teachers a creative, cutting edge approach of how kids can apply older stationary concepts in their realm of technology that they use every day. The approach was to show teachers how to use technology as a tool to help enhance kids’ learning and helping with differentiation, while finding a blend of learning applications and tools so that kids learn and are assessed from it in a standards-based manner. I provided genuine classroom scenarios, application examples, and demonstrated to pre-service teachers how to do backward design for standards based curriculum. in order to develop a Tier 1-3 interventions through RtI (Response to Intervention) to help kids who don’t learn in a traditional sense. Some of the solutions the teachers came up with incorporated interactive whiteboard games that reinforce language arts and reading standards; stop motion video in order to show kids how to teach themselves to learn a concept, practice core content skills, story-tell, and be creative in how they message their learning. University of Wisconsin – Stevens Point, May, 2011 and January, 2007. May, 2011 – Visiting Professor in Teaching the Early Adolescent methods course, EDUC. 385/585, UW Stevens Point School of Education. Facilitated group presentations, provided feedback for students and evaluated presentations on the topic of Teacher Advisories. January, 2007 – Guest lecturer in “Teaching the Early Adolescent” methods course, UW Stevens Point School of Education. Adjunct faculty-Instructional Technology: Viterbo University, La Crosse, WI September, 1998 – February, 1999: Co-developed a course with purpose of developing staff of Mosinee School District how to use and integrate instructional technology into their curriculum as part of the Technology Literacy Challenge Fund grant.